While celebrating success within one’s own business is important, companies are putting high value on acknowledging the achievements of others in the industry. 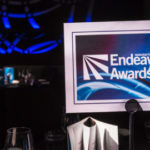 Seven companies and organisations are sponsoring the 2019 Endeavour Awards with the purpose of supporting their peers who are helping shape today’s manufacturing landscape in Australia. 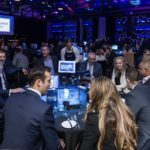 Weld Australia, Bestech Australia, Beckhoff Automation, Vega Australia, SEW Eurodrive, Innovation and Business Skills Australia (IBSA) and B&R Automation are celebrating the best in manufacturing by sponsoring the awards. Bestech Australia managing director Sam Bhasin said as one of the most prestigious events in the manufacturing industry, the Endeavour Awards provide recognition to the innovation and hard work of people in the industry who are prospering in a challenging environment. “This event gives us the opportunity to support the growth of the industry and strengthen our relationship with the manufacturing industry in Australia,” said Bhasin. “We are sponsoring the Manufacturer of the Year award which takes into account all facets of a manufacturing business and awards it to the best. 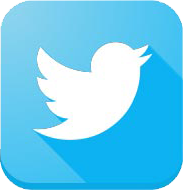 It recognises that a business needs to be innovative and follow the best practices in manufacturing to be a success. This resonates with Bestech Australia as we believe that sensors in manufacturing process have a major role in achieving this best practice,” he said. Companies from SMEs to large enterprises have won awards in the past, as nominations are open to all manufacturing businesses. “Even small-scale manufacturers will have the opportunity to win. Furthermore, this event is also a great networking opportunity for all those involved in the manufacturing industry to establish new professional relationships,” said Bhasin. Beckhoff Automation managing director Nick Psahoulias agreed that the awards allow equal opportunity to companies, big or small, to showcase their achievements. “All too often we complete a project, only to be consumed by another. Sometimes we need to sit back and acknowledge our achievements, and promote them to the wider engineering community. As we learn, we grow,” said Psahoulias. Beckhoff focuses on creating high-quality automation technology, and as such, the company is sponsoring the Technology Application award to highlight this synergy. Vega Australia managing director John Leadbetter said he liked that the awards cover a number of different fields and showcase various technologies and advancements. Vega is sponsoring the Australian Industrial Product of the Year award. 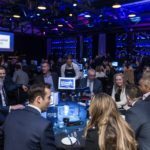 Support and collaboration is important to the sponsors of these awards, who agreed that growing the industry means celebrating other companies’ achievements as well as their own. B&R Automation product manager Naomi Khoo said the awards are the perfect opportunity for B&R Automation to recognise the highly talented and motivated leaders producing world class solutions and outcomes. “It is easy to be so focussed on what you do that you forget there is a whole industry out there all trying very hard to improve. This event gives us an opportunity to stop and take note of what others are doing and the direction that the industry is taking. 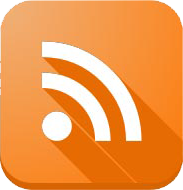 It is also a good way to show off some of the accomplishments of your own business,” said Khoo. B&R Automation is sponsoring the Best Industrial IOT Application award. “By sponsoring this category we have an opportunity to publicly recognise the hard work, dedication and sheer imagination of all involved. The awards help us stay connected, providing us with an insight into what others in the industry are doing and network with other industry professionals,” she said. Weld Australia marketing and communications manager Donna South said manufacturing plays a vital role in growing Australia’s economy. “The manufacturing industry employs a wide range of highly skilled people. By recognising the success of leaders in the industry and providing an opportunity to showcase their achievements, the Endeavour Awards is a beacon of positivity and future-thinking critical to inspire and promote the next generation of manufacturers in Australia,” said South. Weld Australia is sponsoring the Outstanding Start-Up award. An IBSA Manufacturing spokesperson said that IBSA is sponsoring the Excellence in Manufacturing Skills Development award to help raise the profile of training and skills development in Australia’s manufacturing industry. “We often read commentary around the supposed decline of manufacturing in this country, however, we know that the organisations that are thriving are often the ones at the forefront of innovation and the ones who develop the skills of their workforce. “The awards are a great way for businesses to receive recognition from peers in their industry for the good work they are undertaking,” the spokesperson said. The category sponsored by IBSA highlights the importance of skills and workforce development in contemporary organisations, which is important to IBSA. “The finalists and winners will be recognised as champions in their industry, who value their employees and recognise the important role skills development has in helping them to maximise future opportunities,” the spokesperson said. SEW Eurodrive, the sponsor of the Most Innovative Manufacturing Company award, is a global designer and developer of mechanical power transmission systems and motor control electronics, headquartered in Bruchsal, Germany. Its broad spectrum of integrated solutions includes geared motors and gear units, high torque industrial gear units, high-efficiency motors, electronic frequency inverters and servo drive systems, decentralised drive systems, plus engineered solutions and after-sales technical support and training. A comprehensive nationwide stockholding, service and technical support network provides the ideal modern drive platform for Australian companies. SEW Eurodrive Victorian sales and product manager Darren Klonowski said sponsoring the Endeavour Awards provides SEW Eurodrive with an opportunity to demonstrate its commitment to recognising and supporting excellence and innovation throughout the manufacturing industry. “SEW Eurodrive recognises the importance of innovation, as our successes have been underpinned by innovative manufacturing, assembly and product solution set. 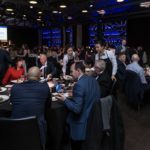 “The awards are an excellent occasion for participants involved in Australian manufacturing sector not only to get a deeper insight into the industry but also celebrate its successes with a broad manufacturing audience. It drives the local manufacturing companies to succeed and be recognised for their dedication,” said Klonowski. Sponsorship opportunities are still available for this year’s Endeavour Awards. For companies wanting to support the awards, business development manager Danilo Cortucci can be contacted at danilo.cortucci@primecreative.com.au or 03 9690 08766.